Home / Google / Google Cemetery / Google+ / KilledByGoogle / News / Google+ Is Officially Dead! Adieu. Google+ Is Officially Dead! Adieu. Google Plus also known as Google+ was a social media networking service from Google. 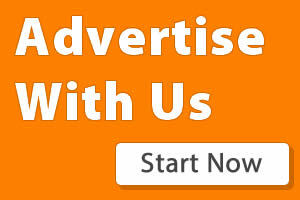 The social networking site was launched on June 28, 2011 as a competitor to Facebook. The social network brought elements such as Circles, Huddle, Hangouts, and Sparks to make the platform exciting. Google Plus also tried to differentiate itself by allowing transparency in who and what users shared, and how they interacted. This is how it was: users of the social network could interact with their 'Circles' of friends how they wanted, and as well choose to share as much or as little information with each friend the way they felt was OK. While there was a basic instant messaging system that allowed users to 'Huddle', users could follow topics or 'Sparks' to learn and share links, pictures and more. Hangouts in the Google+ social platform was a video calling medium that was meant for impromptu gatherings or catching up with friends and co-workers. However, Google later converted it into a chat and live streaming app of its own. Well, the social network never really caught up and was gradually seeing decline in users interaction. Google tried to keep the social network going by making registration for Google+ compulsory when signing up for Gmail or Google Play Games. In fact, Google went as far as making it compulsory for YouTube users to sign up on Google+ so as to be able to post comment on the video sharing network. Though Google implemented it, the ploy failed. The platform later became a haven for spam and ads that took over. Those who remained on the platform didn't spend up to 5 seconds on it. Last year October, Google said that a bug allowed third party access to users private information without their consent. Though Google didn't waste time in patching up the bug, the Internet giant said it was going to shutdown the social network. In December, another bug similar to the first appeared, this around, affecting over 50 million users accounts. The incident made Google to speed up the closing date for Google+ which was initially scheduled for August but then changed to April, 2019. "We are in the process of deleting content from consumer Google+ accounts and Google+ pages," Google's notice on any Google+ reads. "This process will take a few months to complete, and content may remain through this time." Google has made provision for users who wants to save their data or delete their Google+ profile. 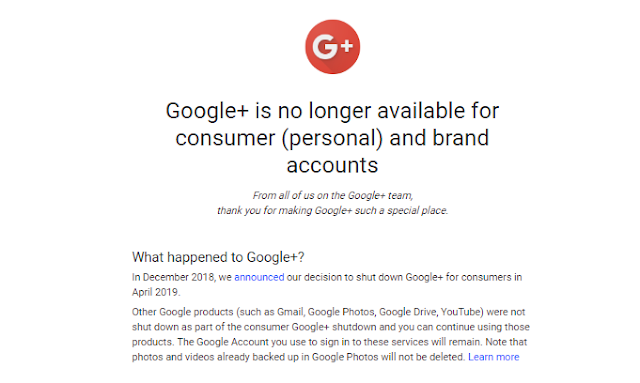 "In the meantime, if you previously created content on Google+, you may be able to download and save your remaining Google+ content and delete your Google+ profile. You may also be able to view and delete your remaining Google+ activity."